Diego Costa has stepped up his recovery from surgery on a foot injury, with Atletico Madrid hopeful the striker will be fit to face Juventus in the Champions League. 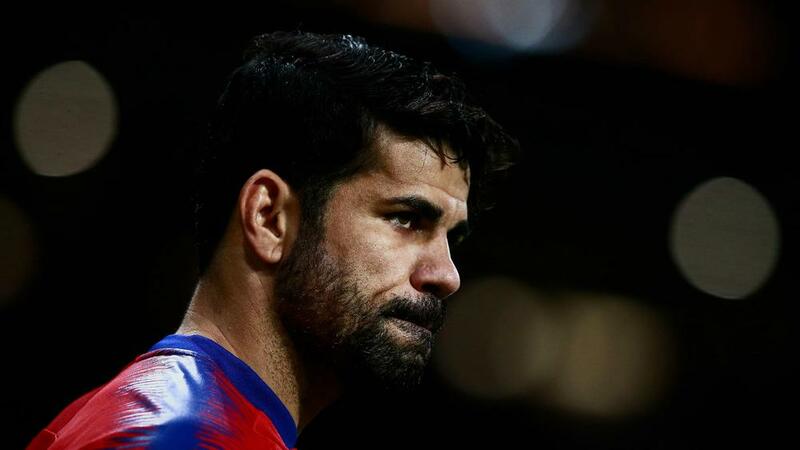 Costa has been out for a month, with the Brazil-born Spain international also having been linked with a move to Tianjin Quanjian of the Chinese Super League. Coach Diego Simeone previously rejected speculation Atletico could sell Costa in the January transfer window, with the club providing an update on his recovery on Wednesday. "Diego Costa has entered the second phase of his recovery after returning from Brazil, where he underwent an operation on his left foot on December 5," a statement said. "Our striker is making progress in his rehabilitation and sport readaptation process. Apart from the daily physiotherapy and aerobic training on a stationary bicycle, a specific swimming pool routine is to be added shortly." Atletico have been linked with a bid for Juve forward Paulo Dybala, but president Enrique Cerezo is focused on getting Costa back on the pitch. "My favourite at Juve? I really like Dybala," Cerezo said to Tuttosport. "We do not think about the market. "The only thought is to recover Diego Costa for the double challenge against Juventus. Diego is very important for us and in these matches he thrives." Atletico host Juve in the first leg of their last-16 tie on February 20, with the return match against Serie A's leaders on March 12 in Turin.